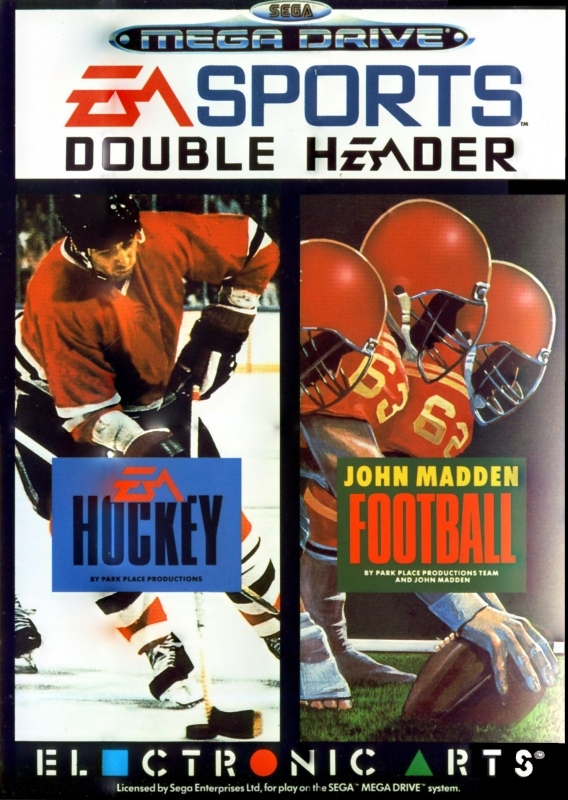 EA HOCKEY: All the fast-paced action of real hockey - high-speed skating, body-checks, ballistic slap shots and fights! 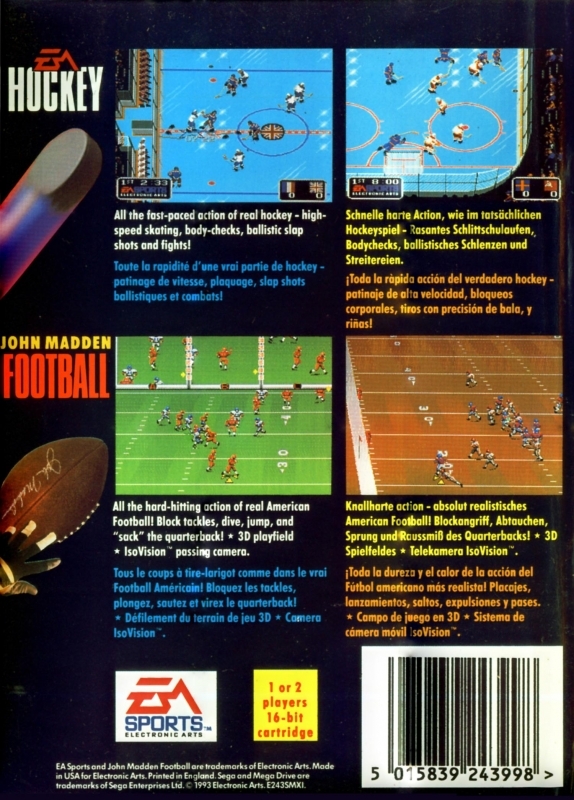 JOHN MADDEN FOOTBALL: All the hard-hitting action of real American Football! Block tackles, dive, jump, and "sack" the quarterback! Featuring a 3D playfield and IsoVision passing camera.